Last October Microsoft released Windows 10 Mobile on new devices like the Lumia 950, 950 XL and 550 but for existing Windows Phone 8.1 users they had to either get preview builds via the Windows Insider Program or wait. 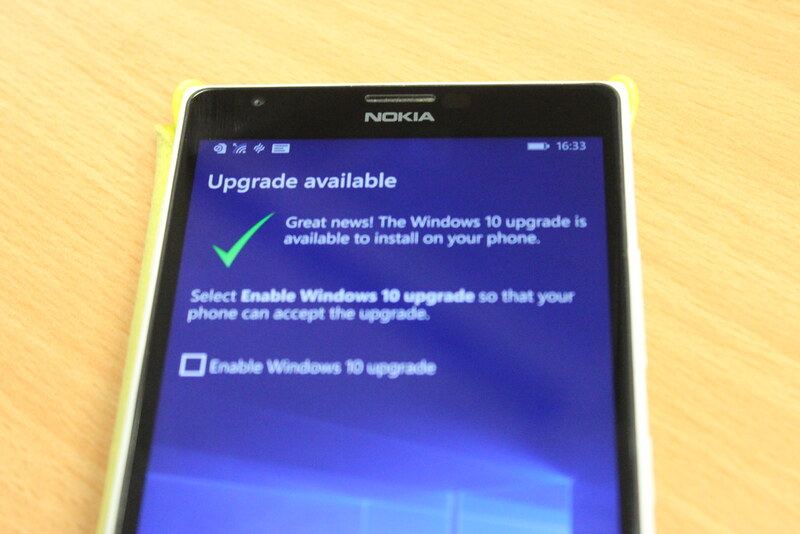 Today the wait is over as Microsoft have started rolling out Windows 10 Mobile to Windows Phone 8.1 devices. Microsoft have made available a Windows Upgrade Advisor app for Windows Phone 8.1 that checks your device and apps for compatibility. The devices that will get the update isn’t the complete list of devices that the Windows Insiders program supports as Microsoft are only offering the update to devices that “upgrade without an impact on the customer experience”. Which is the right approach, the update should work without issues and devices with limited specs should be excluded. To see if your phone supports the update get the Upgrade Advisor and then see if your Windows Phone 8.1 device is compatible. If it is you can tick the option Enable button to start the upgrade, I will be updating my old 1520 and seeing how the upgrade works. More information on the Windows Blog.